In early September, I was among the privileged to receive an Apple TV 4 Developer Kit. 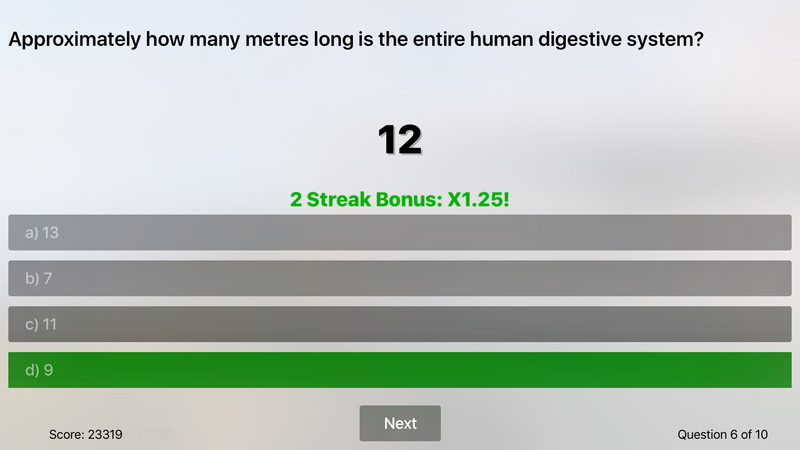 I have used some of my time since, to create something that the whole family can participate with in the living room: a Trivia Game. 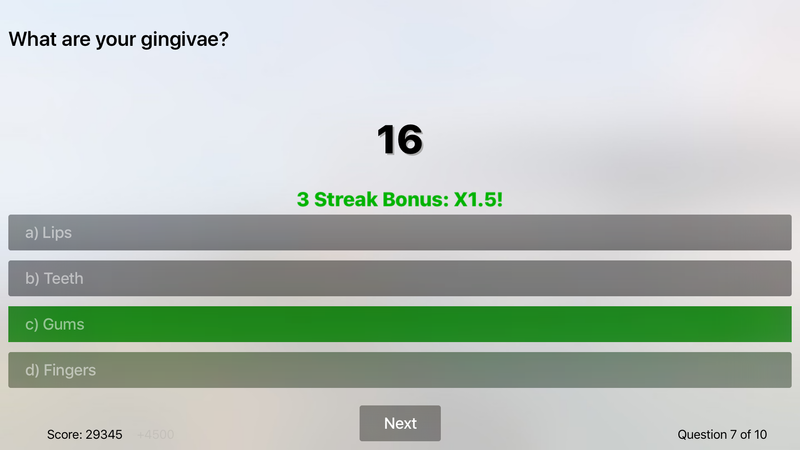 TriviaChannel is an Apple TV 4 app which quizzes you and your family on dozens of topics, rewards you with bonus points, or penalizes you for incorrect streaks. 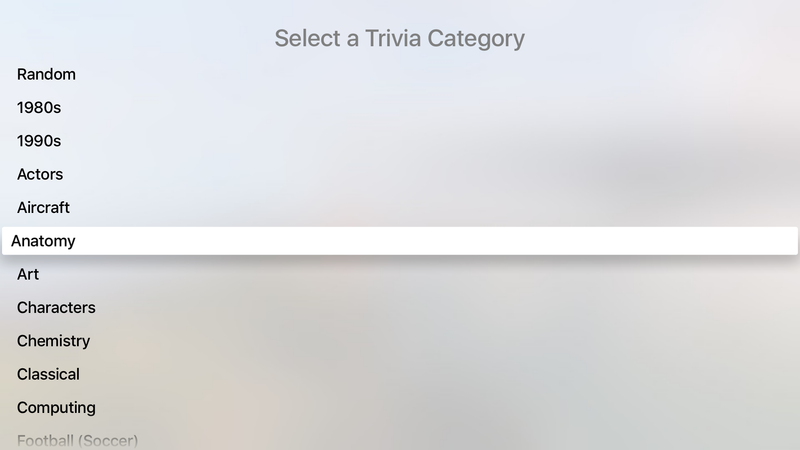 It hooks up to an open database called QuizBang, which allows registered users to contribute their own trivia content. 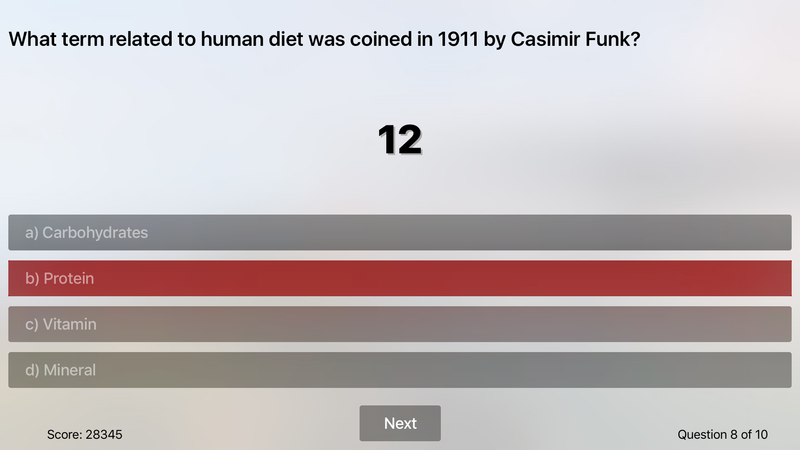 It contains over 2,200 questions currently. 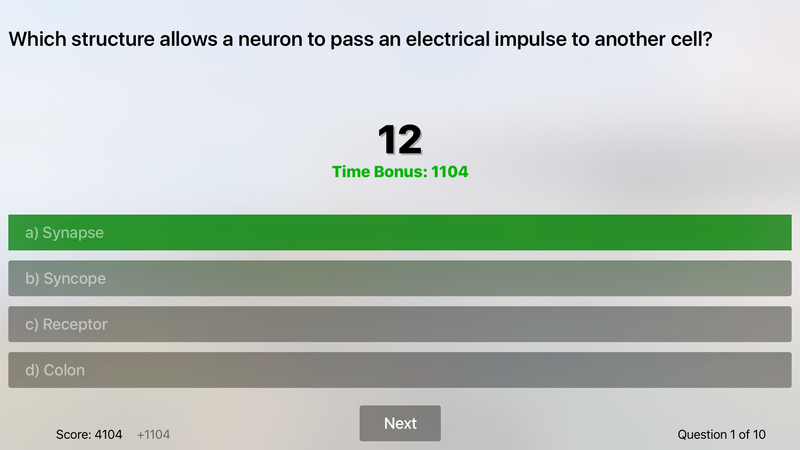 You can say your answer into the Apple TV remote by holding the Siri button while saying aloud “Answer A”, “Answer B”, “Answer C” or “Answer D”. 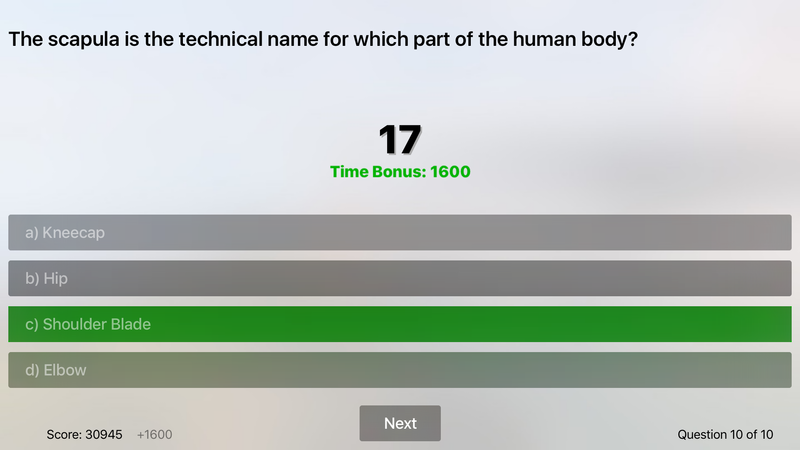 The first version of TriviaChannel has been accepted into the App Store this Monday, and therefore will be immediately available upon launch of the new Apple TV living room box set. Future updates for adding features to the app are to be expected. 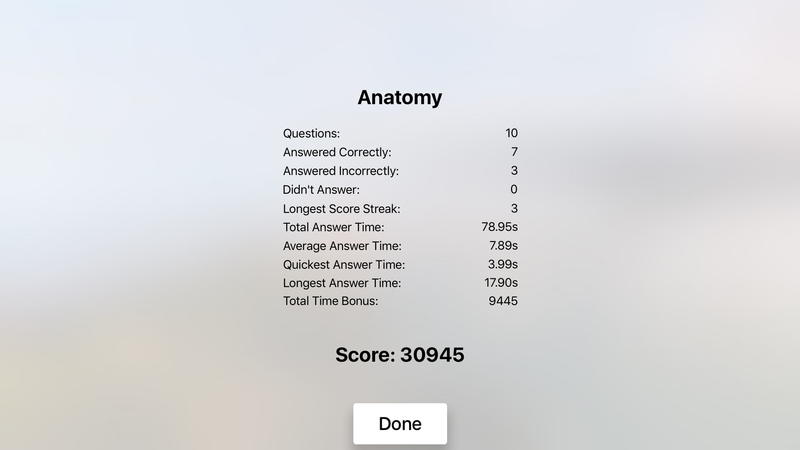 Update: Screenshots added, now that Apple TV is publicly available.